Moravia, a village located in the beautiful Finger Lakes area of Cayuga County, lies south of Auburn, near Owasco Lake, and has a population of approximately 4,000. President Millard Fillmore, our 13th President, was born near Moravia. With its proximity to Auburn, home of Michaels & Smolak, its residents have been represented in many personal injury and medical malpractice matters by the firm. Some recent clients of Michaels & Smolak include a student who suffered a broken jaw after being struck by another student and and a young man who required shoulder surgery after another driver made a left turn in front of him. Many of Michaels & Smolak’s personal injury and medical malpractice clients from Moravia find their way to the Firm through other lawyers. 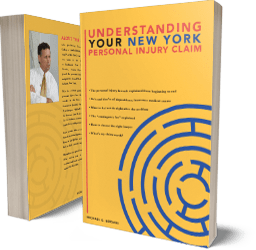 Lawyers in the area recognize Michaels & Smolak as one of the leading personal injury law firm in Central New York, and readily refer such cases to the firm. Directions to Michaels & Smolak’s Auburn law office from Moravia can be found HERE.